Group Fitness classes are an excellent way to get in shape, have fun while training and interacting with other fitness enthusiasts - keeping you motivated and competitive. Classes are available in the mornings and evenings, but we will also be adding a few more class times in the coming weeks. Please check the schedule for class times. Constantly varied, functional movement, executed at high intensity. 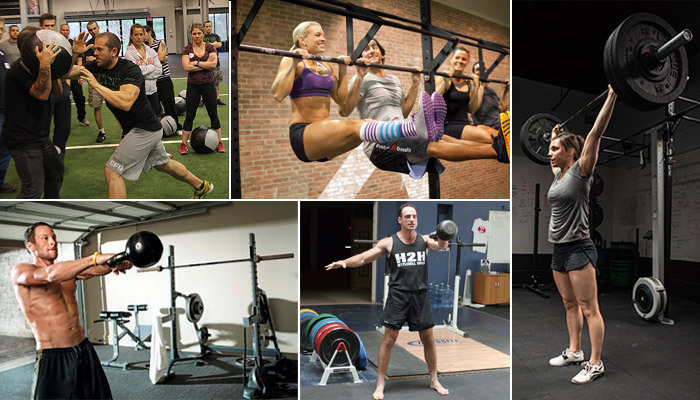 At CrossFit Eglinton we provide a holistic approach to fitness. Our staff is trained in all aspects of health and wellness: nutrition, injury management, athletic training, weight management, Olympic lifting and CrossFit training. Our goal is to help you build a solid foundation of health, supporting your nutritional intake, physical fitness and overall sense of wellbeing. Mobillty class with a movement-based approach that addresses full-body limitations such as muscle length, joint capsule restriction, motor control deficits, and reduced joint range of motion. This new Mobility class is designed to improve functional movement efficiencies with special attention on mobility and flexibility. The goal of this class is to target the underlying biomechanics required for standard movements thus improving performance, eliminating nagging pains and ultimately preventing injury.